Migos have just announced their first ever Australian and New Zealand tour dates. 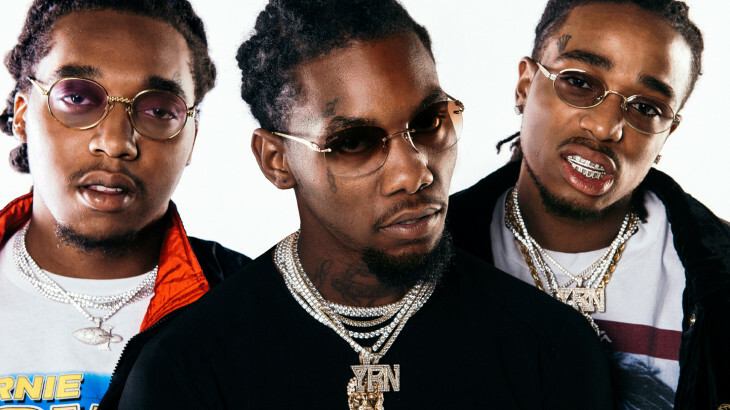 The trap trio of Quavo, Offset and Takeoff will touch down in Auckland on October 10, before venturing on through Sydney, Brisbane, Melbourne and Perth. Finding early fame with Versace in 2013, they spent a few years building themselves up, eventually earning a no. 1 hit with viral single Bad and Boujee, followed by their second album Culture, released in January this year. They’d also been gifted a cameo spot in Donald Glover’s Atlanta, which earned them a lauded shout-out at the Golden Globe Awards back in January. The trio have worked extremely hard and extremely fast to build a massive name for themselves in hip-hop, trap and beyond. If feels like they’re absolutely everywhere, featuring on tracks by Travis Scott, Gucci Mane, Calvin Harris, Katy Perry, Lil Yachty, Post Malone, DJ Khaled, A$AP Ferg and even Fall Out Boy, to name a few. Dates can be found below. Tickets go on sale on Monday June 10 at 11am local time for Australia and 1pm for NZ. Frontier is offering members a pre-sale this Friday, June 16 – details here.